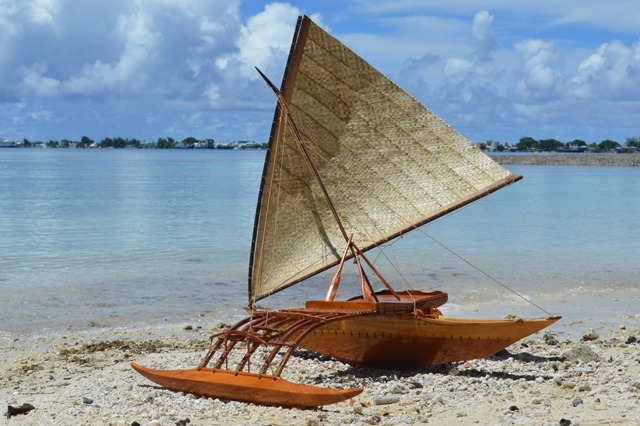 Nowhere else in the world will you find such beautifully crafted model traditional outrigger canoes. The canoe pictured is similar to one in the collection of a Tokyo museum. The pictured canoe is for sale, but there will be a time lag on delivery as it is used as a tool to teach students about canoes. If you’d like to discuss buying a large model canoe please contact the WAM Director Alson Kelen. 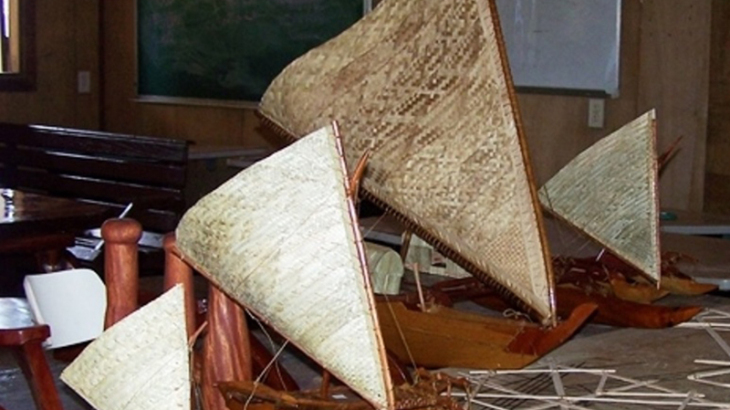 Click to see another example of a custom-built canoe that was designed for the Government of Taiwan. If you need a trophy, name plate, or special plaque to commemorate an event or series of events, the WAM staff and trainees can design and make it to your specifications. 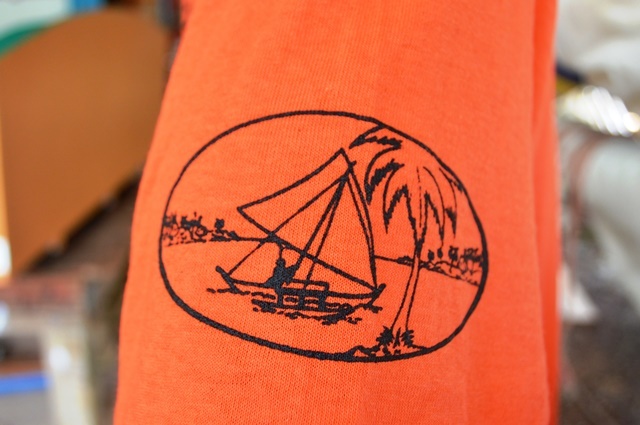 It doesn’t matter how big or how small, we can accommodate any request. 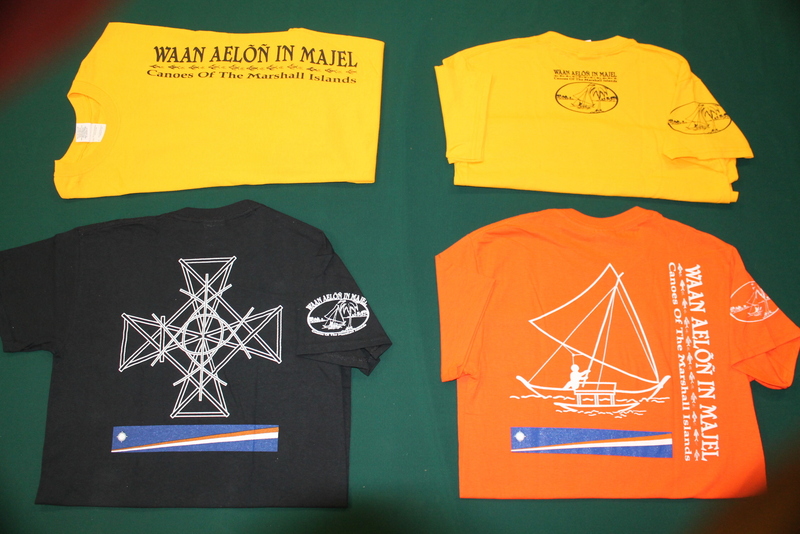 Smaller range of polo shirts available for $25. How can you live without a lime squeezer in the tropics? Answer: You can’t! WAM’s lime squeezers will help you liven up your fish dishes, give cool beverages an extra flavor, and is sure to be one of your kitchen’s most important accessories. 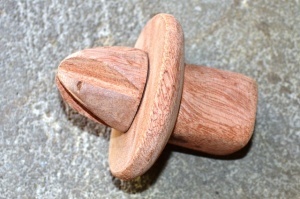 The featured lime squeezer was made by WAM instructor Linton Baso. 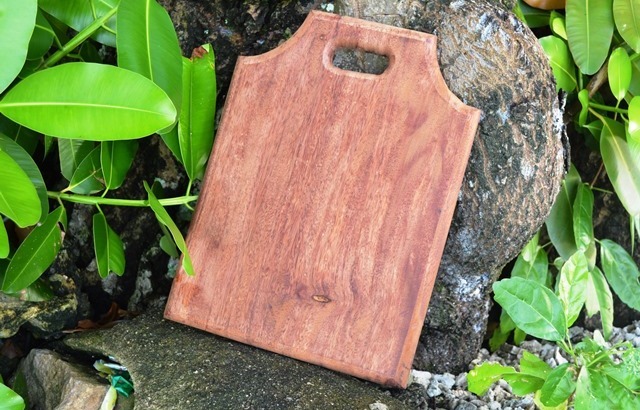 WAM’s chopping boards always include some extra flair, such specially carved edges. The one pictured was made by WAM instructor Linton Baso. 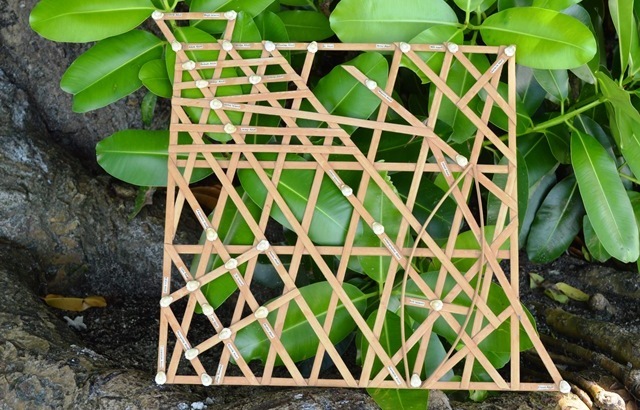 Stick charts, used for the teaching of navigation skills, are unique to the Marshall Islands. They explain about wave and current patterns around the Marshalls atolls. According to researcher Carol Curtis: “They were not taken to sea, but memorized and were meaningless without the knowledge in the heads of their master navigator instructors. 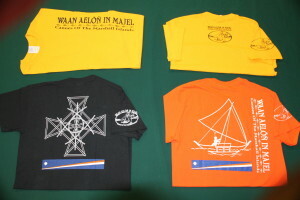 There are three kinds of stick charts: The rebbelib is a general wave navigational chart and can cover all of the Marshall Islands; the medo covers only a few islands and is useful for specific voyages; and the mattang or wappepe, a small, square shaped teaching chart that identifies wave patterns formed around a single island. 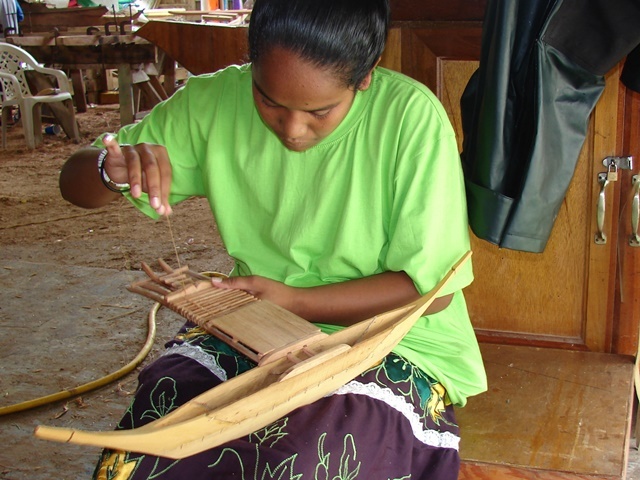 Weavers of jaki (mats) use a tool also called an ar that is made from a block of wood about the same width as the dried pandanus leaves (maañ) and has a row of sharp metal points inserted in one end. The distance separating the metal points will determine the width of the strips. The weaver inserts the ar’s points into the broad end of the maañ and drag it down, creating the strips in one move. 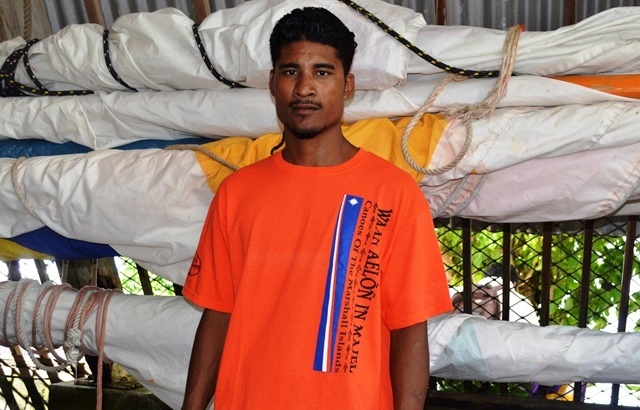 If the weaver intends to make a finely-woven clothing mat (jaki-ed), the ar’s points will be much closer together to create fine strips of leaf. Used to soft the dried pandanus leaves (Maan) before the weaving. 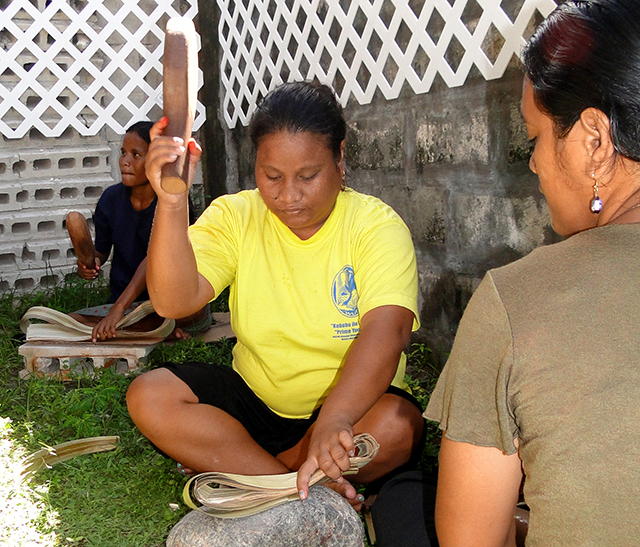 The making of all mats in the Marshall Islands wouldn’t be possible without the use of the heavy pounders known as dekã in nin (literally translated as ‘stone of pound’). 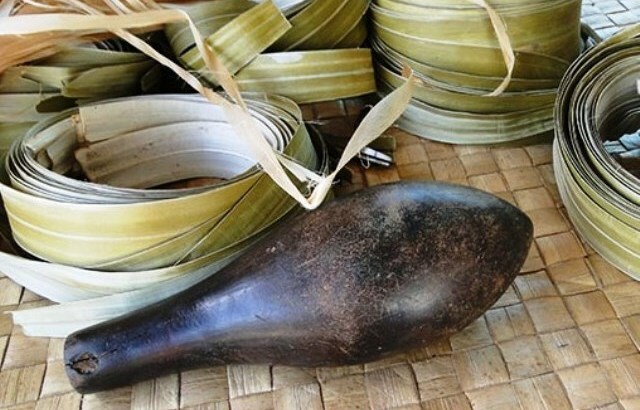 These larger, heavy pounders are mainly used to soften the dried pandanus leaves (maan) that are used to weave mats (jaki). They can, however, be used in the making of many traditional medicines and to soften some types of food. WAM staff and trainees use hardwoods such as the wood from the lukwej tree to make the pounders. 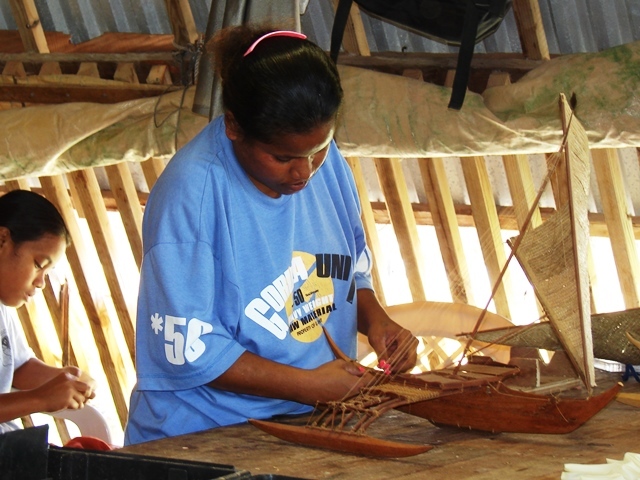 Betty Lobwij, who at that time was an apprentice weaver, learns to use a pounder (dekã in nin) to soften the dried pandanus leaves in preparation of making a jaki-ed (clothing mat). 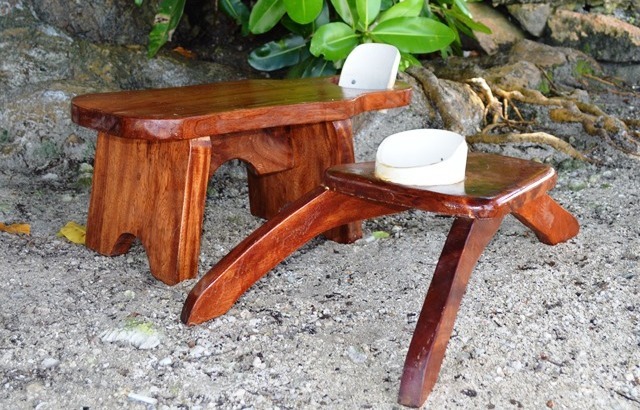 WAM makes two varieties of pandanus pulpers: One to sit on, the other to sit next to. The fruit is scraped over the sharped edge of the PVC piping, bringing the juice out, which falls into a bucket or bowl placed beneath the pulper. About pandanus: The pandanus tree grows up to heights of about 25 feet. Its trunk has aerial prop roots and long leaves up to 10 feet in length. The large edible fruit is called of bōb and is made up of many angular, wedge-shaped sections called keys that turn orange as they mature. It is likely that the pandanus is indigenous to the Marshall Islands and grows wild, but can be cultivated with very little effort. Bōb, which is packed with vitamins and particularly Vitamin A, is usually eaten raw, but can be cooked. In the old days, many people preserved the fruit into a paste called mokwan or jāānkun. Canoe voyagers often took it with them as a main source of food. A pandanus tree with ripening fruit at Enemanet Island in Majuro lagoon. A bunch of bōb on the dock at RRE Shoreline area. 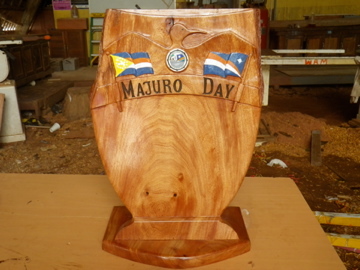 Marshallese use wooden pounders for pulping a range of fruit and vegetables. Grated coconut, and the coconut milk that is squeezed from the flakes, plays a huge role in Marshallese cooking. The flakes are mixed with water and pressed through cloth to extract the milk. 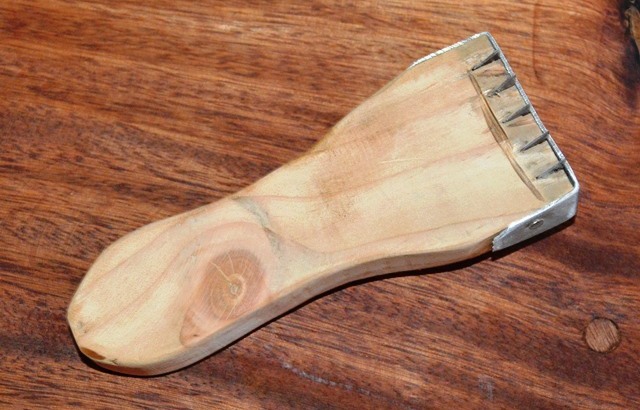 The tool used to grate (or scrape) is called a raanke. 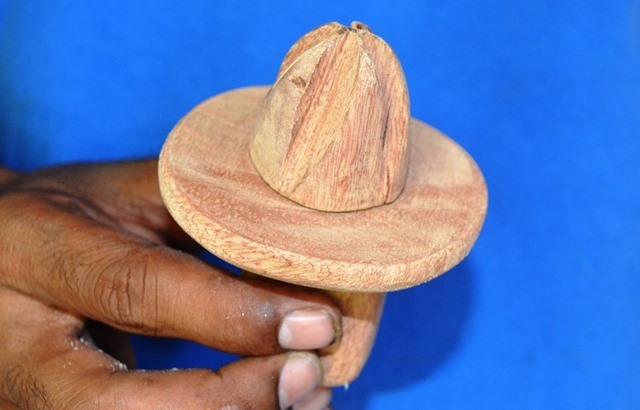 It is traditionally made of breadfruit wood, but can be made of almost any hardwood, such as the local tree called lukwej. 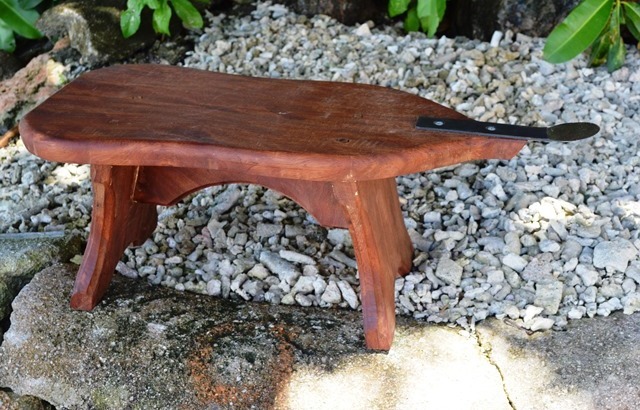 It is often shaped like a stool, making it easy to sit on (usually with the legs extended in a V-shape) and work the metal jagged blade. 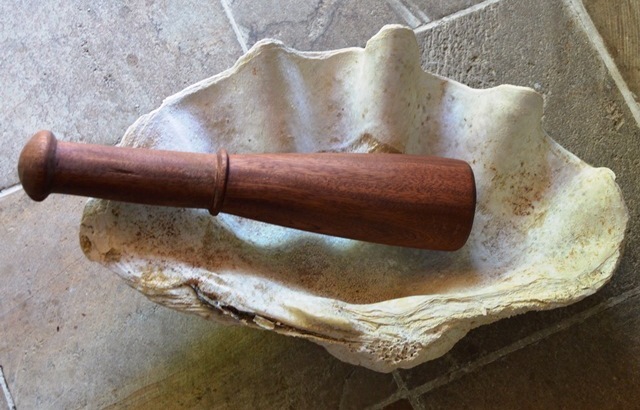 The blade used to be made of a piece of shell, but modern versions use metal cutters. 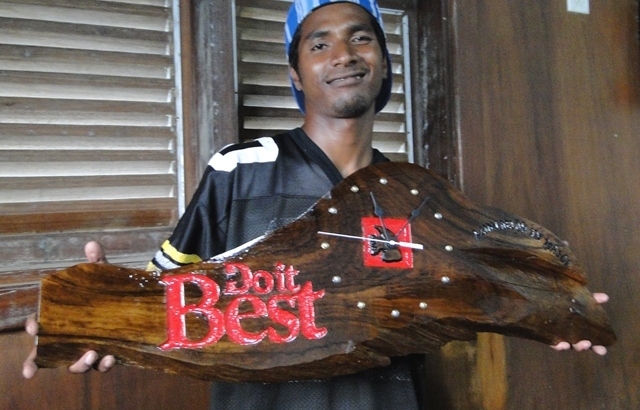 A WAM trainee finishes off a coconut grater with a coat of varnish. 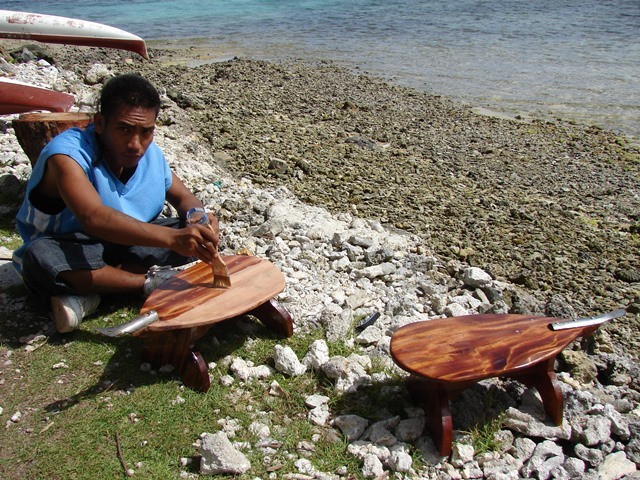 A trainee lashes the platform between the outrigger and the hull on a model canoe. 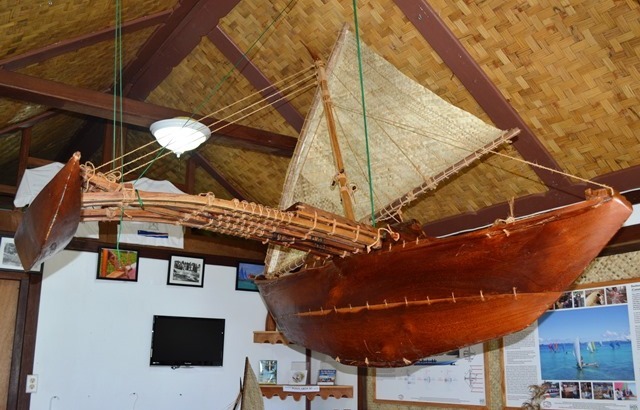 A model canoe, measuring three feet, made by WAM trainees sits on the beach next to the Canoe House.